Riding on an escalator should be safe and uneventful but unfortunately there are a significant number of avoidable accidents on escalators each year. Most of these tend to be at busy train stations or airports. Someone who stepped onto a busy road without following the Green Cross Code would be thought of as foolhardy by most people and would be risking their life. There are similar best practice tips for escalators that we have listed below to ensure that your journeys on escalators are happily uneventful. 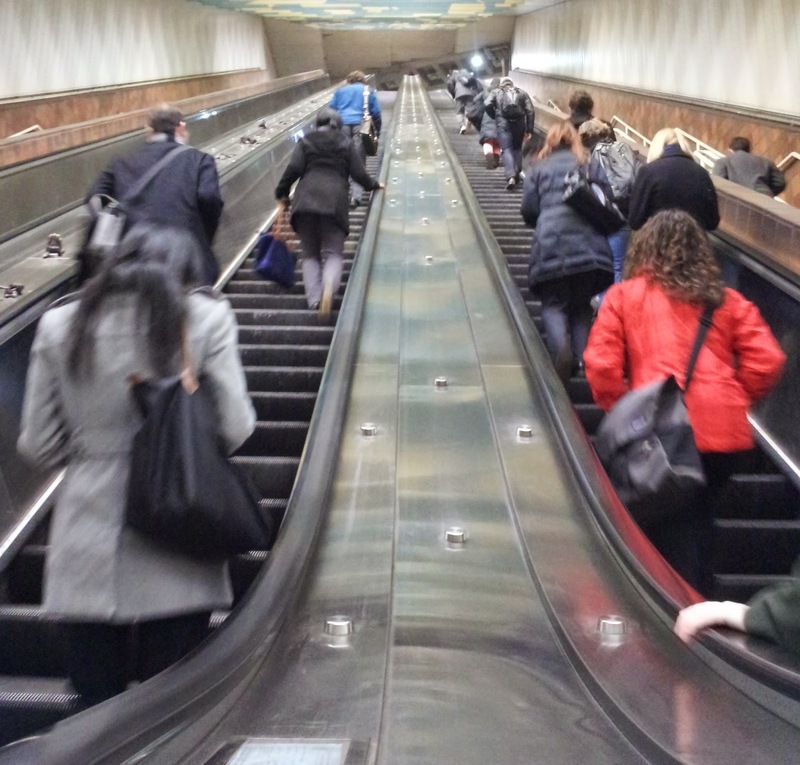 Twelve Dos and Don’ts to ensure that you stay safe on escalators. 1. If you have heavy luggage and particularly if you have more than one piece of luggage do not attempt to get on an escalator – this particularly applies to children’s prams – It’s always best to try and find a lift instead. 2. Do not run onto an escalator going in the opposite direction. You might think you are making a funny clip for You Tube but it could end up with you being hospitalised. We have seen it happen. 3. Do not attempt to climb onto the handrail or suspend yourself only on the handrails with feet above the steps. 4. If walking up busy escalators with briefcases or bags for work do not rely on someone catching you if you were to slip or fall backwards. Keep one hand free for the handrail. 5. Do not stand too close to the sides of an escalator or too close to the edge of the step. 6. Don’t block the ‘walking’ side of the escalator on busy escalators. 7. Take hold of the handrail as soon as you step onto the moving step. Stand away from the sides of the escalator and edges of the steps. 8. Hold children firmly with one hand – they should hold onto the handrail with their other hand. 9. Carry any bags / small packages in one hand allowing you to hold onto the handrail with the other. 10. Take extra care if wearing high heels, loose clothing or open-toed footwear. Keep clear of the sides of the escalator and away from the edges of the steps. 11. Do use the ‘walking’ side of the escalator on busy escalators if you want but remember to hold the handrail. 12. Consider what would happen if the escalator were to stop abruptly - would you be able to remain upright? Dunbar and Boardman is the lift, escalator and access equipment consultancy. Do you have a current or planned project that includes escalators? We would be happy to discuss any such requirements and how we may be able to assist. Give us a call on T +44 (0) 20 7739 5093 or send us an email via peterboardman@dunbarboardman.com to start the conversation. We look forward to hearing from you. Thanks for the informational blog. Escalator and traction lifts are highly used in our routine life. Essem Engineers is design these traction lifts with using best experience. Thanks for the information, always careful on your foot steps and be attentive, as a store owner find the best escalator manufacturer who cares the safety as primary thing. Wonderful post. Thank you for your sharing this amazing blog. Thanks for the information, always careful on your foot ladders and be concentrating, as a store owner find the STEVEN ELEVATOR MANUFACTURERS IN CHENNAI who upkeep the care as main thing. Thanks for the information, always cautious on your foot steps then be attentive, as a store proprietor discovery the Lift Manufacturers in Chennai who upkeep the safety as main thing. Blog was very excellent sharing for your information.